The following does not apply to Macintosh OS X v10.5 or v10.6. 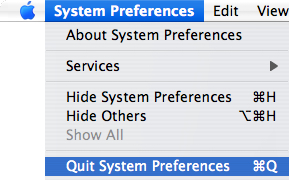 From the Menu Bar, navigate: Apple > System Preferences. From the Location dropdown list, select Edit Locations. 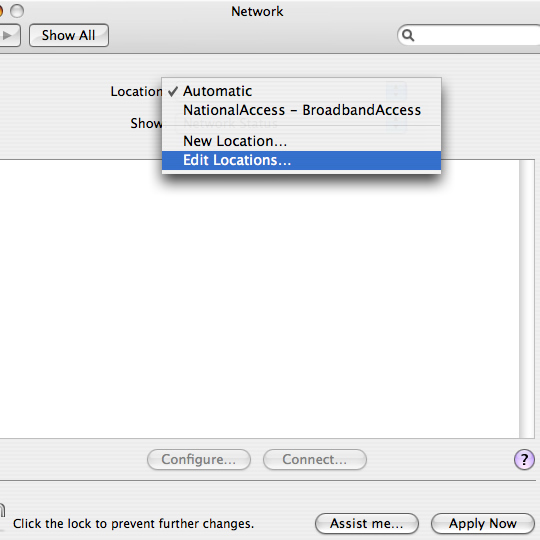 Ensure NationalAccess - BroadbandAccess is selected then click Delete. 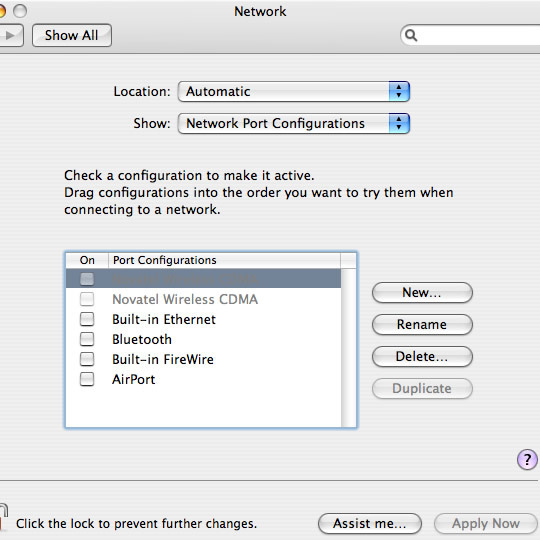 From the Show dropdown list, select Network Port Configurations. Ensure the appropriate device port configuration (e.g. Novatel Wireless CDMA, Pantech USB Modem, etc.) is selected then click Delete. 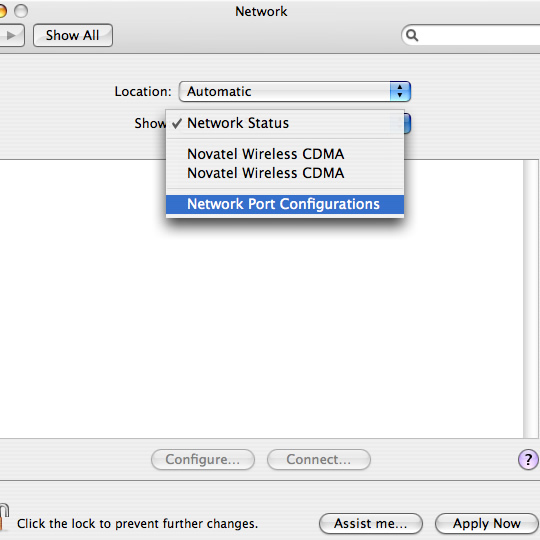 Port configuration should appear grayed out. Ensure any additional device port configuration (e.g. Novatel Wireless CDMA, Pantech USB Modem, etc.) is selected then click Delete. 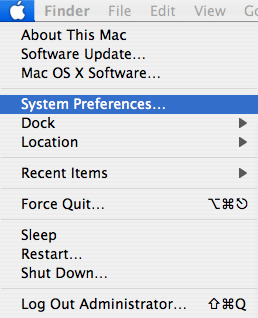 From the Menu Bar click System Preferences > Quit System Preferences. 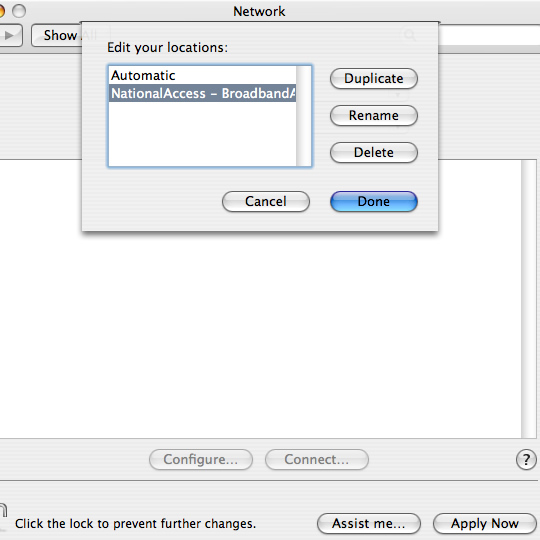 For assistance recreating the dial-up account please refer to Configuring VZAccess Manager - Macintosh.